The heat is turned on with 17th Lok Sabha elections are in the process. Just a while ago, infamous Sadhvi Pragya joined Bharatiya Janata Party and also it came as official that she will contest the elections. Expectedly, it met with heavy criticism and Bollywood actress Swara Bhasker too joined in, by taking a dig at the political party.Hindu nationalist and a controversial figure Sadhvi Pragya, the accused of Malegaon blasts (29th September 2008) who got acquitted of the charges by Special National Investigation Agency (NIA), joined Bhartiya Janata Party today and also to contest election from Bhopal seat of Madhya Pradesh. 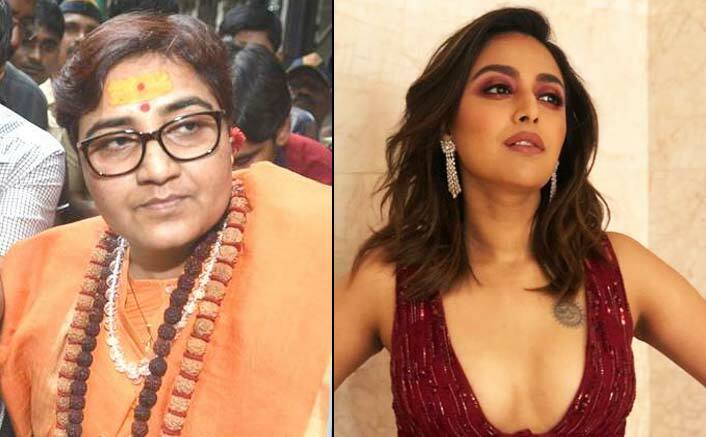 The post Lok Sabha Elections 2019: Swara Bhasker Hits At BJP For Offering Ticket To A ‘Potential Terrorist’ Sadhvi Pragya appeared first on Koimoi. PM Narendra Modi’s Release To Get A Halt Due To Lok Sabha 2019 Elections? Madhuri Dixit Rubbishes All Reports Regarding Her Contesting Lok Sabha Elections!